The right to food- moving forward with our football for food campaign. I recently represented AFC Unity at a conference which presented the findings of the Fabian Commission on Food and Poverty. Organised by Church Action on Poverty, it was fantastic to be among so many like-minded people who want to make a difference to their local community and tackle food poverty. Something really interesting that came out of the Fabian Commission’s research is that not many people know they have a “right to food,” despite this right being enshrined in the UN’s International Covenant on Economic, Social and Cultural Rights. Although the right to food is not a legally enforceable right for citizens, the covenant places obligations on governments to ensure that everyone has access to food. Chair of the Fabian Commission, Geoff Tansey, really emphasised how important it is to educate people about the idea of the right to food, and to empower them to utilise this right. If one person told their friend about the right to food, and that friend told somebody else about it, we would live in a world where people feel inspired to pursue that right rather than feeling resigned to having little or no food. The Fabian Commission was established to look at the relationship between food and poverty in the UK. It asks how a fairer food system can be built that works better for people on low incomes. 1. Everyone in the UK should have secure access to nutritious, sustainable food they can afford,and nobody should live in a state of household food insecurity. 2. Food banks and other forms of charitable food provision should become unnecessary by 2020.
for most households, but the social security system also has an important role to play for many both in and out of work. 4. The links between low income and diet-related ill health should be broken. 5. People on low incomes should be protected from price rises and other potential negative consequences arising from the essential action needed to address the long-term environmental, health and workforce challenges of the food system. We were all split into small groups at the conference to discuss the findings of the Fabian Commission and practical ways forward to tackle food poverty. This was most certainly the best part of the conference. It was an invaluable chance to network with people who are all also connected to the work of local food banks in some way. I was extremely keen to discuss the work of AFC Unity and our football for food campaign. The conference seemed really interested in how AFC Unity is using grassroots football as a tool for positive social change. I am hoping that the conversations I had with people at the conference may lead to exciting new directions for the football for food campaign. It definitely got me thinking about how AFC Unity can make a difference in educating people about the right to food. Our football for food campaign encourages players, managers and members of the public to bring along donations of food to home games, which are then distributed to food banks across Sheffield via the Sheffield Food Collective. We have collected as much as 50 kilos of food at our home games, and we are really excited about the future of our campaign. The conference made me realise that there are endless opportunities for us to collaborate with other organisations to continue to make a difference. Speaking of collaboration, it was fantastic to see Nick Waterfield from the Parson Cross Initiative’s food bank and Laura Burn Acaster from the Sheffield Food Collective at the event. They are two amazing supporters of our football for food campaign. We had some really interesting conversations about how we can continue to develop our work… Watch this space! The Fabian Commission talked about launching a national campaign challenging the issues surrounding food poverty. They emphasised that while the campaign would be national, it would be very much built up and grown out of grassroots, localised community work relating to food banks. They are keen to collate case studies from all over the country which showcase the positive ways in which communities can work together to make a difference. This was really great to hear and got me thinking about how AFC Unity could take the football for food campaign to a more national level. Perhaps other sports teams will read about how we are using football as a tool for positive social change and will be inspired to do something similar themselves. The conference addressed how many parents are put in a position where they have to prioritise calories over nutritious food for their children as they do not have access to it, or simply cannot afford it. Chair of the Fabian Commissio Geoff Tansey said: “The government has progressively outsourced its responsibilities over the last few years. He went on to stress that the State should be doing more to challenge food poverty, rather than relying on the work of charities, food banks and other voluntary organisations. AFC Unity visited the Parson Cross Initiative’s food bank a few weeks ago to see how their collected donations are making a difference to local people. The experience was a real eye-opener for the players, as it made them realise how essential the work of food banks is to the local community. While it was incredible for us to meet all of the volunteers who give up their time to help others, it left us feeling that the government needs to do more about food poverty rather than relying exclusively on the efforts of volunteers. Attempts are being made to enshrine the right to food in Scottish law. Backed by the Church of Scotland and political leaders, sustainable food group Nourish Scotland has launched a campaign aiming to give everyone a legal right to food. Whether it would be feasible for this country to enshrine the right to food in law was also discussed at the conference. 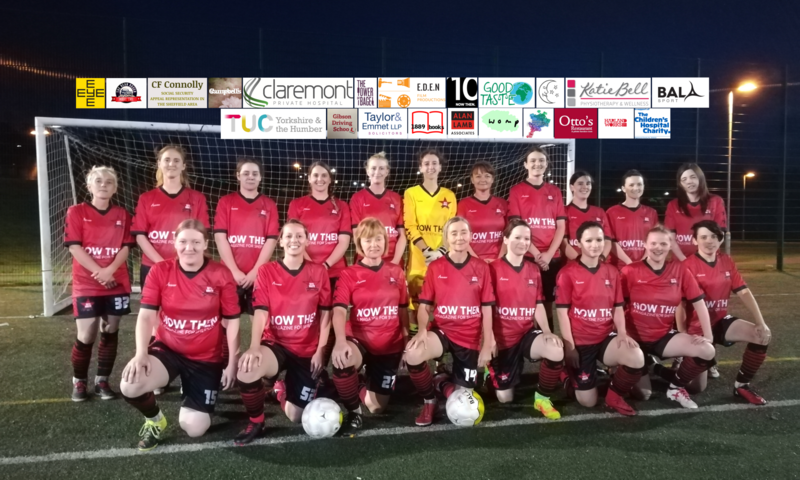 With Christmas fast approaching, AFC Unity’s football for food campaign has taken a new direction. 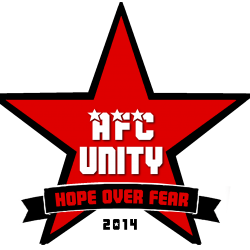 Christmas is a season of giving, which is why AFC Unity is pushing for donations of food at home games now more than ever. It is a time of year where food banks are in even higher demand, as families face additional pressures to provide for their children. With this in mind, the club is seeking as much publicity as possible to raise awareness about a season of giving as well as a season of football on the pitch. AFC Unity director and player Charlottte Marshall and myself were interviewed by local TV station Sheffield Live about the season of giving. Alternative football club, donate food to tackle food poverty from Sheffield Live on Vimeo. To read the full report from the Fabian Commission on Food and Poverty, click here.